Born in Russia in 1987. She lives and works in London, UK. 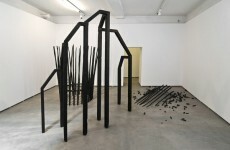 Selected solo and group exhibitions: Victoria House, London, UK (2011); Jarmuschek + Partner, Berlin, Germany (2011); London International, Klaipeda, Lithuania (2011); Charlie Smith, London, UK (2011); Boswall House, London, UK (2010); Shoreditch Town Hall, London, UK (2010); Charlie Smith, London, UK (2010); Public Art Commission, Keukenhof, Lisse, Netherlands (2010); Scheltema Center, Leiden, Netherlands (2009); Residency at the Merzbarn Foundation, Lake District, UK (2009); Christus Triumphatorkerk, The Hague, Netherlands (2009); RonMandos Gallery, Amsterdam, Netherlands (2008). 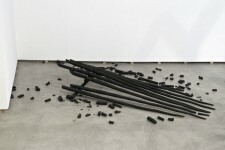 Selected Awards: The Land Securities Prize Award (2011); The Saatchi Gallery and Channel 4 New Sensations Prize (2010); Kenneth Armitage Foundation, The Fifth Annual Armitage Young Sculptor Prize (2010).